It is an infectious disorder caused by a bacterium called Burkholderia pseudomallei, which typically manifests in the lungs. The bacterial agent is also a potential weapon for biological warfare and bioterrorism. The disease is similar to glanders in which the mucous membranes of the nostrils produce increased secretion and discharge of mucus along with enlargement of the lymph glands. The incubation period of this acute disorder is normally 9 days, followed by a rapid onset of the symptoms with high degree of severity. In nearly 10% of patients, the symptoms last for more than 2 months. The persistence of the infection over an extended period of time has more damaging effects than the acute form. The condition is common in several regions of Southeast Asia like Singapore, Thailand, Malaysia, Vietnam and Burma. A number of cases have been reported in Northern Australia, Brunei, India and Hong Kong. The infectious disorder is highly prevalent in Northeast Thailand with 21.3 cases per 100,000 people per year. The causative bacterium is largely found in the soil, rice paddies and stagnant water of the tropical regions. It was initially considered to be a part of the Pseudomonas genus and denoted as “Pseudomonas pseudomallei”. It has even been found in certain animals like horses, donkeys, mules, and few members of the cat family. Direct contact with contaminated soil is one of the main routes of transmission of the infection. This particularly occurs when burns, sores, cuts or scrapes are present on the skin. Inhalation of the contaminated soil particles can also cause infection. Similarly, inhalation of microscopic water droplets containing Burkholderia pseudomallei can give rise to the condition. Unfiltered water is a potential carrier of the bacteria. Regular intake of contaminated water can easily permit the microorganisms to enter the body and cause infection. The bacterial infection is transmissible to humans from the infected domestic animals, which also includes dogs, pigs, cattle, sheep and goats. Human-to-human transmission has been reported in extremely rare cases. History of travel to an endemic area is the key diagnostic factor in patients exhibiting fever and pulmonary problems. Laboratory evaluative techniques suffice the diagnosis of the bacterial infection. However, the imaging findings can help physicians to evaluate the status of the lungs. A rapid blood test can distinguish between viral and bacterial infection. Elevated white blood cell count indicates a severe infection in the body. Culturing of the blood sample is done consequently to identify the exact type of the bacteria causing the infection. Blood agar and Ashdown’s medium containing gentamicin are the selective mediums for this test. As the water- and soil-borne bacteria are intermittently present in blood, multiple cultures should be taken before inferring the results. This is a simple test that can be conducted in many healthcare settings. Collection and centrifugation of the urine sample followed by a microscopic examination can detect the bacterial infection. Culturing of the urine sediment obtained after centrifugation can help in the recognition of the infectious organisms. Sampling of a small portion of tissue from a skin lesion helps in ruling out the possibility of precancerous conditions. Analysis of the sputum on a slide under the microscope can show bacterial growth. Special dyes must be used for staining the gram negative bacteria. The sputum sample can also be cultured in special incubators for subsequent identification of the disease-causing bacteria. 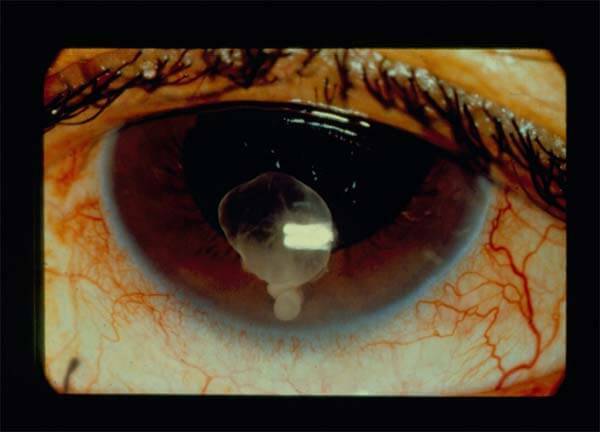 Mallein, a protein segment of Burkholderia pseudomallei, is biologically prepared and injected into the skin of the eyelid or administered to the patients in the form of eye drops. Delayed-type hypersensitivity reaction is elicited by the injected protein, which causes the eyelid to swell in 1 or 2 days in the infected patients. The surface protein of the bacteria has a tendency to agglutinate red blood cells and bind to N-acetylneuraminic acid. Here, a definite amount of red blood cells is added to a test tube and incubated for about 30 minutes. Formation of irregular clumps of the cells at the bottom of the tube signifies the presence of the bacteria in the blood sample. CT scans and ultrasound imaging can precisely spot the lung nodules. The abscesses formed in the lymph nodes must be monitored from time-to-time in order to know how far the infection has spread inside the body. X-ray studies of the pulmonary nodules and abscesses on a routine basis also function as an important diagnostic tool to detect the disorder. 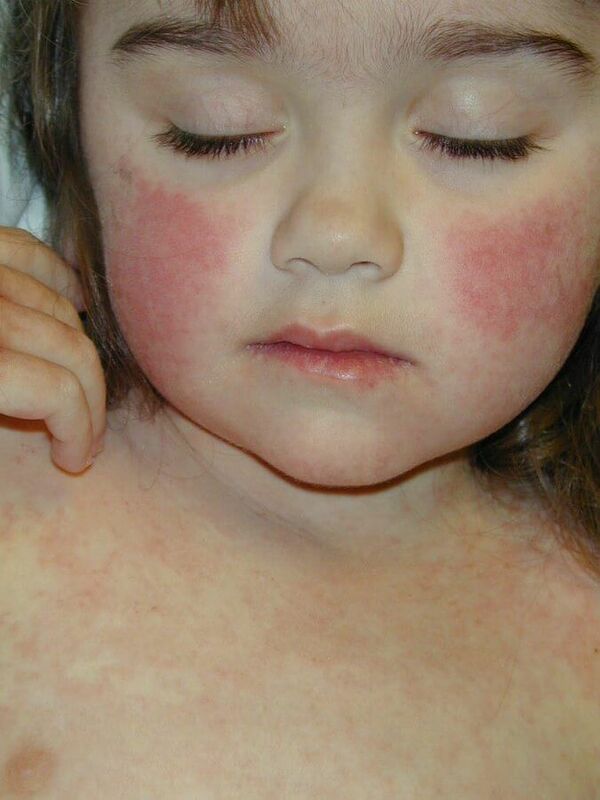 Ceftazidime, a third generation cephalosporin antibiotic is the most effective drug for acute type of the infection. It is normally given intravenously. Antibiotics like meropenem, imipenem and the cefoperazone-sulbactam combination are equally beneficial to the patients. Co-amoxiclav is administered when the other drugs are not available. The optimal duration of the antibiotic therapy is usually 10 to 14 days. It is discontinued only after the fever has abated completely. Not all patients respond well to the treatment and may continue to suffer from the symptoms. In such cases, parenteral therapy for almost a month can benefit the patients. The complete elimination of the microbial load from the body can be achieved with 12 to 20 weeks of co-trimoxazole and doxycycline treatment. This procedure has to be followed in order to prevent the infection from recurring. Co-amoxiclav is suitable for children below the age of 12 and pregnant women. The pulmonary involvement as seen in the chronic cases may require few invasive techniques. Incision and drainage of the abscess must be done by an experienced health care provider to prevent the nearby tissues from getting infected. Surgical excision of the pulmonary abscess along with the removal of an entire lobe of the infected lung is the last resort for the affected patients. In the absence of treatment, the condition is usually serious with fatality rate exceeding 80%. Early administration of antibiotics could increase the chances of recovery. However, the overall mortality rate of pseudoglanders is 40%. The risk of a recurrence is 10-20%. This chronic condition can cause the bacteria to spread from lungs to the eyes, heart, kidneys and liver. The most debilitating complication of the infection is chronic pneumonia, which produces tuberculosis-like symptoms. Melioidosis is an extremely serious condition of the lungs, which shows a high mortality rate despite treatment. The only key to avoid transmission of the disease is to strictly adhere to personal protective and sanitary measures.